Scroll past the author information to find the program handouts. Carolee Dean is a speech-language pathologist as well as a young adult author. 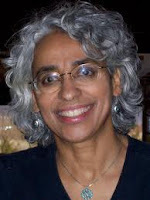 She has been a featured speaker at several national and local conferences for educators. In her novel Take Me There, she examines the death penalty from the point of view of a teenage boy who journeys to Texas to find his estranged father. 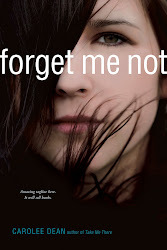 In Forget Me Not she examines cyber-bullying and suicide. For more information about Carolee and her books, visit www.caroleedean.com. She has a monthly newsletter focused on helping educators build lifelong readers. Past issues may be found at http://spellbindersbooknews.blogspot.com. 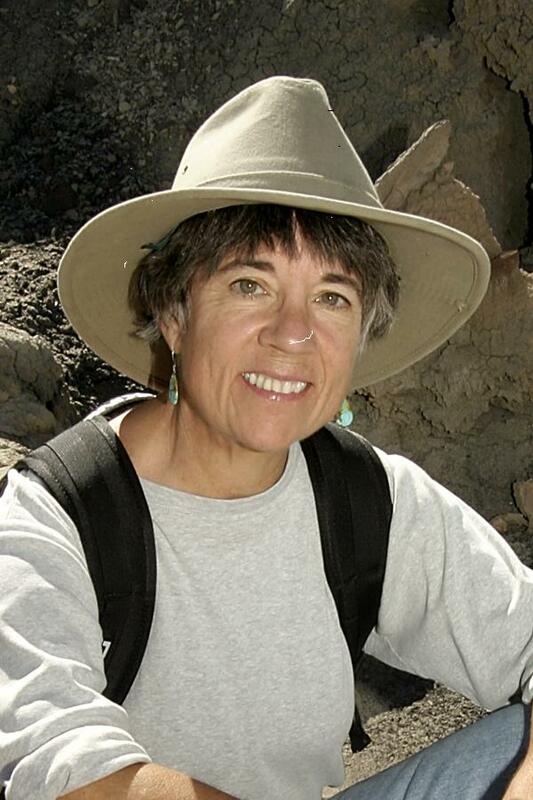 Carolyn Meyer is the author of over fifty books for children and young adults. More than a dozen of her novels for Young Adults are about famous women, from Cleopatra to Marie-Antoinette to Queen Victoria, and a few about men (Shakespeare, Mozart, Darwin). She is at work on her next novel, BEAUTY'S DAUGHTER, the story of Helen of Troy and Hermione. She is joining the 21st century with HOTLINE, a series of contemporary novels published only as e-books. Visit www.readcarolyn.com. ©2012 the authors: Carolee Dean, Vaunda Micheaux Nelson, Kersten Hamilton, Carolyn Meyer, and Betsy James. Permission to copy for educational purposes. Common Core Standards place greater emphasis on reading non-fiction. Many contemporary works of fiction may serve as a springboard for exploring non-fiction sources. 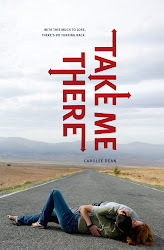 The following are examples of how one novel, Take Me There by Carolee Dean, has been used effectively in the classroom to study the topic of the death penalty. 1. Death Penalty Debate – The brother of a murdered cop and the lawyer of the accused debate various issues related to the death penalty. Students read the death penalty debate "deleted scene" found on this blog under the tab for Teacher Resources. Have students make a list of the arguments both for and against the death penalty and then search the internet for supporting sources. Goals: exploring both sides of an issue, formulating an argument with supporting details. Goals: Exploring primary sources, improving note taking, improving listening skills. 3. Explore procon.org – This site offers viewpoints on various controversial and debatable issues. It provides the history of a topic, presents both sides by quoting a variety of sources, and also evaluates the quality of those sources. Graphs and charts related to the subject are often available. There is also a feature on the site that will read the material aloud to students who would benefit from this accommodation. Goals: forming an opinion on a topic, finding supporting details, examining a citation for ethos, pathos, and logos to determine the quality of the information. Poetic and Literary Devices PowerPoint - This PowerPoint gives examples from the novel Take Me There of devices like simile, metaphor, allusion, personification, and alliteration. It is highly visual and provides fun preparation for standards based testing. It is available on this blog under the tab for Teacher Resources. Wintergirls by Laurie Halse Anderson - Explore body image and the influence of the media and peer pressure on eating disorders. Rx by Tracy Lynn - Discuss the over prescription of pain medication, how this affects teen abuse of prescription drugs, and what should be done about it. 1. Have students make a list of rules for a fantasy or dystopian society based upon the historical context being studied. This could tie into the reading of a novel like The Hunger Games by Suzanne Collins for an example of a dystopia. Check out Kersten Hamilton's Tyger, Tyger series or Listening at the Gate by Betsy James for examples of fantasy. Also, note how the latter two authors weave Celtic mythology into their stories. had to do to create a fictional world where children scavenge old oil tankers for parts and fuel. Relate it to a debatable topic such as the importance of alternative energies. 2. The House of the Scorpion by Nancy Farmer explores cloning. Students could discuss medical ethics and healthcare. Are all advances in science and medicine good? What happens when they're not? 3. Encourage students to take a scientific topic and ask the question What If? Then use that question as the basis of a short story. 4. Ask students to take a scientific principle and use it to explain a sci-fi concept like time travel or a fantasy concept such as the origin of werewolves. The purpose of the author panel is to get kids excited about research and help them recognize how they already incorporate research into their everyday lives. Provide opportunities to have students share personal examples of how they use research throughout the author panel session. Start the panel with an icebreaker that includes audience participation. You may use one of the following examples or create and icebreaker of your own. You may also want to have someone in the audience pass out slips of paper for students who participate. Have them write down their name to be entered in a drawing for books written by the authors on the panel. Read an excerpt from a book or poem. Ask students to identify information in the reading that required research. For example, you may use the poem “Dead Rapper Rap” from page 320 of Carolee Dean’s verse novel, Forget Me Not (poster/poem download available on her website at www.caroleedean.com). This poem is a spoof on Poe’s “The Raven.” It describes the ghost of the rapper 2Pac appearing as a substitute teacher and several of his song titles appear in the poem. Studying the format of Poe’s poem and looking up 2Pac titles was the research necessary for writing the spoof. Ask students to identify the name of the poet/poem that this poem was based upon (Poe and “The Raven”). Then ask them to identify the 2Pac song titles or albums appearing in the lines of verse (i.e. “Skandalouz,” “All Eyez on Me,” 2Pacalyptic or the album 2Pacalypse Now, “Keep Ya Head Up,” “I Wonder if Heaven Got a Ghetto,” “Only God Can Judge Me,” and “2 Die 4”). Most of these titles appear in the last stanza of “Dead Rapper Rap” so you may shorten the activity by reading the final stanza only. sure the school district’s policy allows cell phone use. Some districts strictly prohibit it. Ask students to share examples of a time when they were with friends and someone pulled out a cell phone to research information that arose during the conversation. The purpose of these activities is to create a fun atmosphere and to illustrate how often we use online sources in our everyday lives. What are some practical applications for research in everyday life? Participation: After authors share their experiences, ask students for examples. Do they play “Fantasy Football” or follow sports statistics? Have they ever “researched” a person on Facebook? If you didn’t discuss YouTube during the icebreaker, ask if anyone has learned a new skill via this medium. Who are some of the interesting people you have interviewed? How did you conduct the interview and document the information? Have you ever interviewed someone through email? How did that work out? Participation: Ask students if they have anyone among their family or friends who would make an interesting subject for a story or news article. What are some of the interesting places you have researched? Did you go there or collect your information in some other way? How have you used the Internet to research locations for your stories? Participation: Ask students if their families have ever researched a location for a vacation or a move. How did they conduct this research? What kinds of primary sources and secondary sources have you used? Participation: Inquire if students have old letters, diaries, photographs, or other keepsakes from family members. In general, how do you use the Internet and other sources as research tools? What do you think of Wikipedia? 6. What are some ways to organize a wealth of research material? What are the frustrations associated with research? 8. How do you handle confidential information that turns up in an interview? 10. Who’s a good source and who’s not? Research your local authors. Be clear on the difference between traditionally published and self-published authors. Contact the Society of Children’s Book Writers and Illustrators at SCBWI and find out who the regional advisor is for your area. This person will know who the local published authors are. They may know of regular events where you may meet authors or hear authors speak and give workshops. Start preparing for your author panel well in advance. Have your panel members confirmed at least a month prior to the event. Get administrators on board by discussing how the author panel will support Benchmarks and Standards or Common Core Standards. You may need administrative approval if you want to alter the school day schedule or allow students to miss class to attend. Get teachers on board by sending out information about the authors who will be involved. This will mean giving authors time to submit a brief bio and giving you time to compile the information. The demands on their class time if they are required to conduct SBA preparation on an ongoing basis. The pressure they are under if their evaluations are linked to test scores. The challenges that arise if one of their classes gets behind their other classes AND the other teachers’ classes in that subject area. Preparation for the event which could require additional class time. This might include reading the authors’ books in class or even assigning books to be read at home. If you are having difficulty getting support from the English teachers, consider inviting other classes. Offer opportunities for students to become acquainted with the authors’ work prior to the event (in spite of item 6E). Some teachers will actually appreciate this. Encourage teachers to introduce material from the authors and have them tell students to visit the library to see a display of the authors’ books. Be sure you have the authors’ books. Hearing an author speak is an excellent way to spark a student’s interest in books so be sure you have the books available for check out. Make sure you talk to your custodian in advance if you need furniture moved to accommodate a large crowd. If you are using a space different from the library, make sure you are familiar with the space. For instance, do you need help operating the sound system and do you know where the lights are. It’s a good idea to provide amplification, even for small groups. Encourage the Year Book and Journalism teachers to send students to cover the event. If this is something you want to do again in the future, it will help if it is an event staff and students recognize as something that has already been successful. Be aware of potential conflicts such as prescheduled fire drills. Don’t plan an author visit on the afternoon before the big homecoming game. Local authors are a valuable community literacy connection. You and students can continue to build relationships long after the event is over. You may check out authors at their book signings and local SCBWI events to determine if they might be a good match for your school before you approach them about being on a panel. Local authors, even those who are nationally recognized, are often willing to accept a reduced fee for local engagements. Sometimes they are willing to come to a school for a partial day if it is near their home. Asking a local author to serve on a panel helps them build their proficiency as a speaker. Even famous authors started out as unknowns. You may start small and build the event year after year. Make sure you understand the “current” school district policy for reimbursing “contractors.” Have authors sign paperwork and forms well in advance. It’s better for everyone if they receive reimbursement on the day of the event. Check with your school district to see if you may sell the authors’ books, especially if the honorarium you are offering is less than what authors typically charge. This may be as simple as creating a price sheet and having checks written directly to the author, though be aware that some publishers don’t allow authors to sell their own books. If you like fund raising, you may be able to collect the money yourself, order books from the publisher at a discount, and then keep the difference for the library or use it to help pay the honorarium. Consider partnering with a local bookstore to handle book sales. They will often give the school a percentage of the proceeds in book credits. If handling book sales feels overwhelming, don’t let this stop you. Just get started with the other details of the author panel. This may be an element you can add in later years as you get comfortable with the process.